We found some bugs in the PHP module on edump so we already fixed them. Here are the details below. 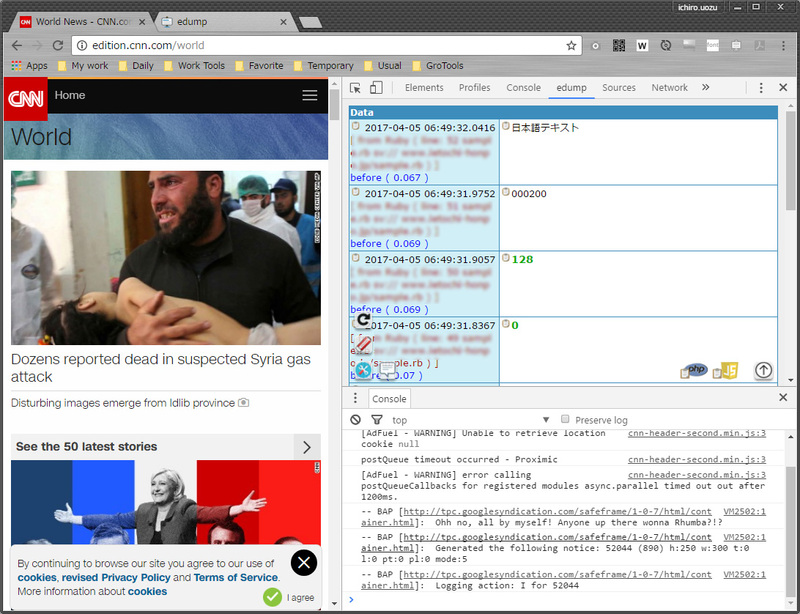 – Some errors happened on the environments PHP 5.3 and below. – When you use some types of objects for debugging on edump, you might see some errors. Don’t worry because we have already fixed them and you can use edump comfortably now. Let’s get started with edump! A plugin of WordPress has been updated recently. Below are the contents. ・A base jQuery has been updated to the latest version. ・The coexistence compatibility with other plugins has improved. 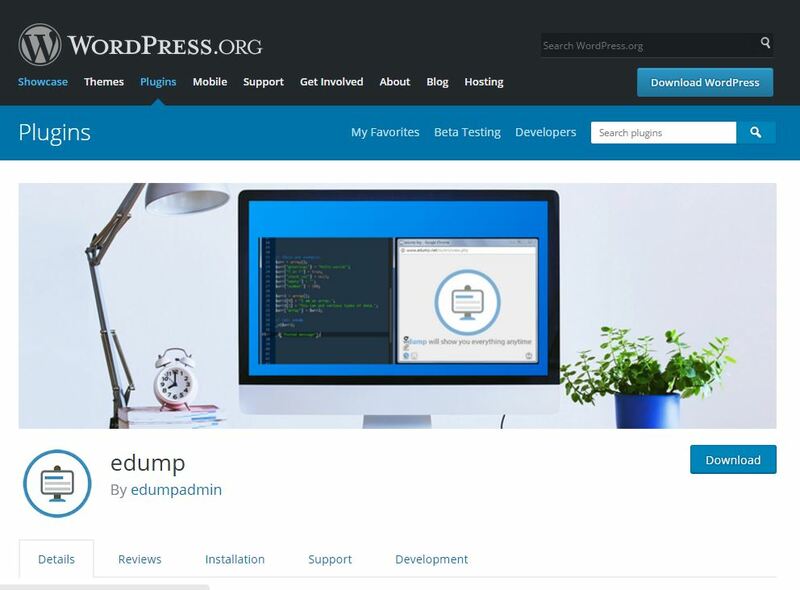 You can update the latest version of edump on your control panel of WordPress. We hope to improve your software development. [ New feature ] We have released a new feature which provides a keyboard shortcut function. 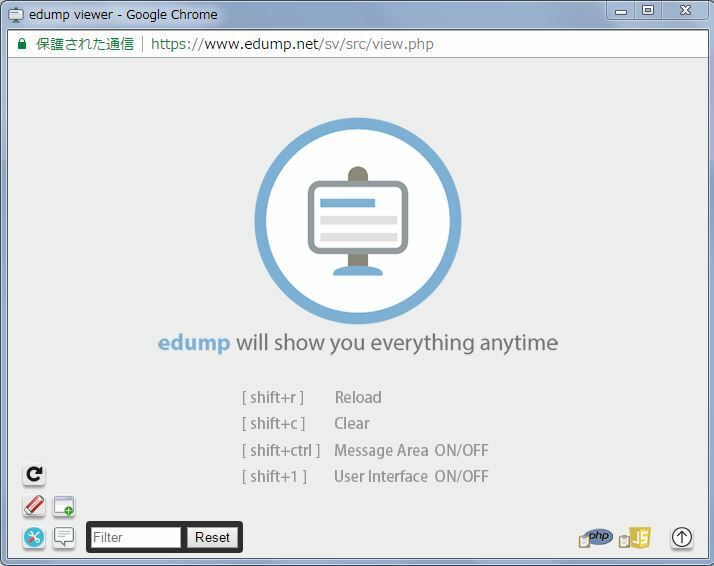 edump’s new feature has been released recently. It’s a keybord function on the viewer. You will be able to use some shortcuts on the viewer and confirm how to use it on the background wall. The shortcut is very important to improve efficiency. We are going to add new features every time. There were a few possibilities of bugs in the PHP version of edump but we have already fixed them. If the user’s code has some conditions with edump’s module that need to be fulfilled, there might be a “Warning” notice on the PHP parser. These bugs happened on PHP only. You won’t see a similar issue in your codes on edump in the future. We hope to improve your development environment. We will show the information with Japanese as well. edump’s web site usually tell the informasion in English because there are lot of users who live in English area. But recently this web site bring also Japanese so edump’s web site and blog show the informasion with both language from now on. Please follow us. edump has been equipped with a feature which can set the status of information in detail or in simple form. 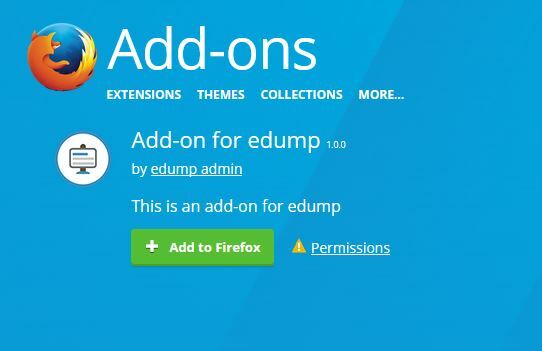 edump has been equipped with a new feature for developers recently. You can set the information of the status on the label depending on your situation. If you want to confirm the details of the status, You can set “Show details on the label” but If you want to use the simple style mode, You don’t need to set this feature. Probably when you debug your code, you might want to ensure more desktop space so we equipped this feature. Please check it and we hope to improve your environment of development! 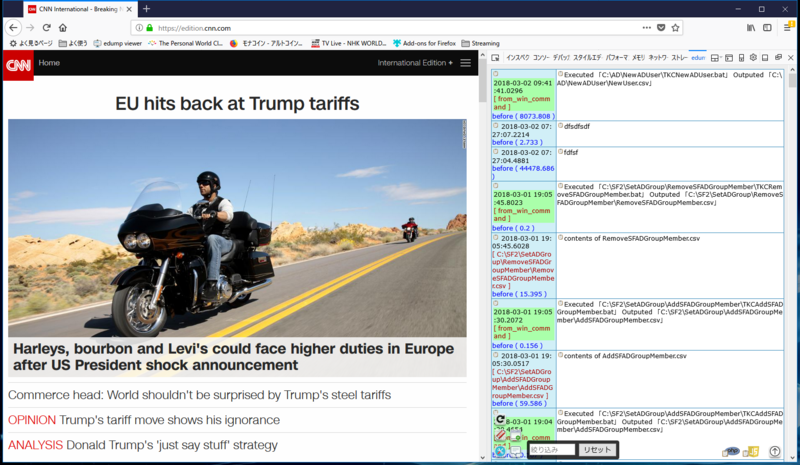 edump viewer add-on was released for FireFox. We developed an add-on for FireFox. 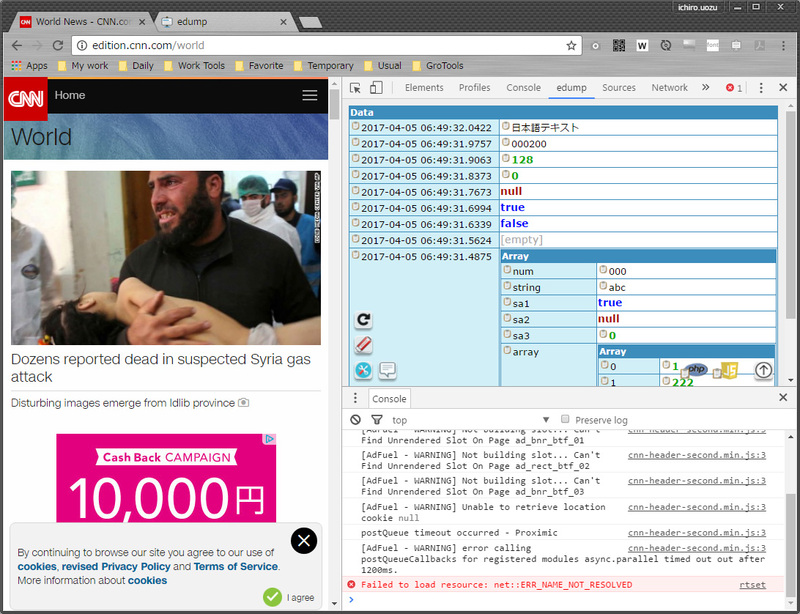 After installing it, You can use the features of edump in FireFox’s developer tools. It’s very useful and convenient. We hope to improve the efficiency of your development stages. You can set a value of showing the duration of notifications. Recently edump has been implemented with a feature for setting a value which would show the duration of notifications. You can then set your favorite value. If you need a long time for confirming the loading status of edump module, you can set the values between 3,000 and 100,000.